Mail- Click HERE to download the below postcard. Print, sign, and mail to Stanford President Marc Tessier-Lavigne at the address below. I ask your support for a more sustainable Stanford and its surrounding communities. Stanford’s Searsville Dam, built 125 years ago, is not longer needed – and its reservoir has almost completely silted up. The old, cracked concrete is a liability in the event of a major earthquake or overtopping event and the dam blocks annual runs of threatened steelhead trout from access to their spawning grounds. The degraded reservoir water quality and blocking of sediment compromises the ecology and resiliency of the San Francisquito Creek watershed and San Francisco Bay wetlands. Removing this obsolete concrete wall will revive submerged wetlands, help restore steelhead to their ancestral habitat, and provide natural flood protection benefits. The time has come to remove this dam – and recent studies and expert recommendations show this is both feasible and beneficial. 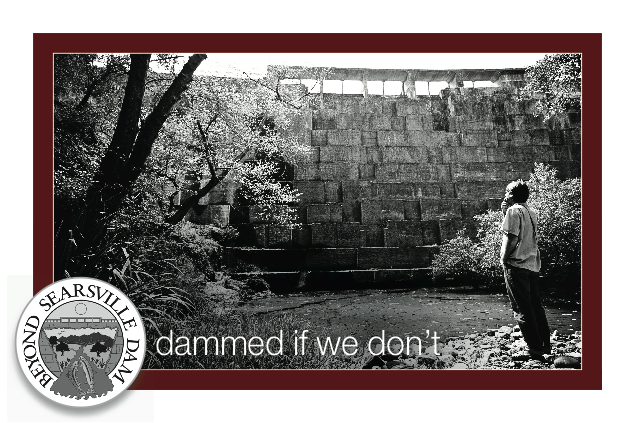 I urge you and the University to stand firmly behind your promise of a sustainable Stanford, by working collaboratively with watershed stakeholders for the safe removal of Searsville Dam. Click here to sign up for our e-newsletter.